Boom. The next few days I cruised through the coffee making process. Scoop. Pour. Grind. But after a few days, I realized I missed my old tablespoon scoop. There was something about the slowness. The sound of the scoop and pour, scoop and pour, scoop and pour, scoop and pour, scoop and pour, scoop and pour, scoop and pour, scoop and pour. The counting. The forced pause in my morning. The ritual. 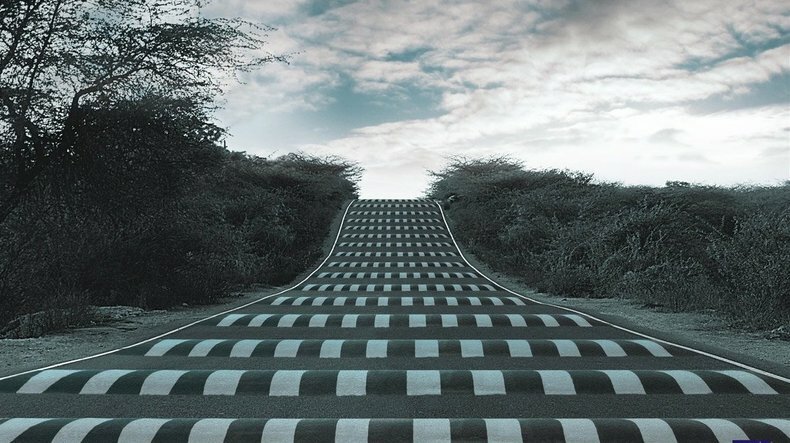 In our fast paced lives, sometimes we need to construct speed bumps that remind us to slow down. Urban planners call speed bumps "traffic calming devices." As planners of our own lives, what if we built more "life calming devices"? Daily reminders to slow down. To breath. To simply be with the task at hand. I have since returned to using the single tablespoon scoop for my morning coffee and I have been thinking about how to install other speed bumps/ life calming devices that will force me to slow down as I move about the world and go about my days.